The Install Assist App is a fast set up and configuration tool that lets installers quickly add and configure devices without having to do it through the online Fusion tool. When it comes to creating a new project, adding 3rd-party devices and services, creating complex rules and general account administration, Fusion is your one-stop-shop. This powerful, online-only tool gives dealers access to more advanced features that are not available using only the Install Assist App. ClareNet allows dealers who offer security services to manage and configure security monitoring for their customers. This tool is available online-only. Dealers who wish to offer security and tap into recurring monthly revenue can contact Clare to get started with our easy on-boarding process. Will the selected products make the system reliable? The most important, and often overlooked questions that should be asked of every project - will the products selected create a good experience for the homeowner? Will they make the system reliable? When dealing with wireless products that use Z-Wave for example, installers must always keep in mind that simply having one controller and a Z-Wave door lock is not enough. Z-Wave operates on a mesh network where many devices are linked together. It is always good practice to add at least one Z-Wave signal repeating device such as a light switch, repeater, even a plug-in module. Battery powered Z-Wave devices do not repeat the signal, meaning they will not extend your Z-Wave network. Do I have everything I need to be successful? When rolling out to a job, simply bringing the bare minimum equipment is asking for trouble. Always bring spare devices in case one is damaged, defective or faulty. For battery operated devices, swap out existing batteries with new ones to avoid extra truck rolls in the future. When dealing with door locks, ensure you have at least one Z-Wave repeating device in between it and the controller. Many 3rd party devices that work with Clare often have manufacturer-required steps that must be done before you can connect the device with Clare. Not following these early steps will lead to unsuccessful set ups, devices not working properly, take up troubleshooting time, and more. For example, speakers from SONOS or HEOS must first be provisioned using their respective apps and customer accounts created. This type of configuration is also necessary with many smart home thermostats such as the Honeywell Lyric or Nest. 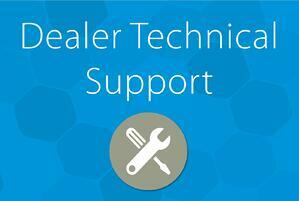 From the knowledge base to videos, documentation, and our dealer support team. We're here to help. Check out our previous Dealer Blog about all the support options available by clicking HERE. Need help with an issue that is not covered by the above resources? Be sure to Contact Us!